Diva Says What: Do you have that in a size 3? In a recent interview, Snooki from Jersey Shore (aka my reason for living) said ""I'm a size 3, but I'd like to be a size 1." 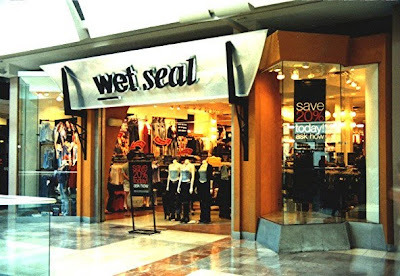 All I hear when I see that is, "I only shop at Wet Seal and Rave and 5-7-9 and places that actually measure their clothes in odd numbers." This further proves my theory that Snooki is the most amazing lady to ever hit the small screen...and the planet. Oh honey, I had a pair of pocketless jeans from Wet Seal that I wore every day of 7th grade. Only the best of the best shopped at those stores. No shame, no shame! I live in London and we don't have this Jersey Shore business. I keep hearing people reference it and I really think my life is incomplete without experiencing it. I might have to move back to the states for this. It's worth moving back for. It's the best!